Thirty years old. The timid look of an infant. Awake from a nightmare again at five o'clock. Flag raising. Good morning, teacher. Opening and closing an umbrella on rainy days. blowing on the safety helmet of the personnel director. blowing on wild roses in little sisters' hair. Thirty years old. The heavy steps of a tortoise. Still seeming capable of pride. Still seeming able to laugh wildly. Ever-twinkling traffic lights all the way. Slogans. "A big wind is blowing, blowing on what?" On all the people with love and tears. ten thousand acres of trembling starlight and shadows. An ideal has died here. An ideal is about to resurrect. rotten iron supporting insects' chirps. kernels, waste paper, dead sperm. prayers, love poems, obscene shouts. washing our guardian dam of morality like the rainstorm? rising from the secret ocean of life like giant trees? And you— are you still the proud cliff? A great love is to be born here! Gunshots died away among the dusk flight of birds. Footsteps returning to every morning bowl of porridge. Footsteps returning to the water of every evening washbasin. Missing black hair of mothers. Missing black hair of daughters. Rebelling against the foreign regime while ruled by it. Raped by the fatherland while embracing it. In this poem, what the poet has in mind is undoubtedly the tragic event which occurred in Taiwan on February 28, 1947 and caused the deaths of hundreds of thousands of Taiwanese people. After the event, Taiwan was under martial law for nearly half a century. And the tragedy remained a national taboo until 1987, when martial law was lifted. They are the lawmen who tamper with grammar at will. Singular, yet accustomed to plural forms. Objects, yet presuming to be subjects. Hungry for the future tense when young. Indulged in the past tense when old. The only transitive verb: suppress. so that I might talk to her more boldly and freely. without having to fear the nightingale across the street should mimic it or spread it out. I would rather that my love lived in the snowy north. the sweat in May, the heat in July. some on the steel pillars. swaying and singing with the sweet smell of wine overflowed by earthquakes. The world is a seesaw going up and down. I am the ever-balanced scale. The moonbeam in the valley flows slowly. It flows past the stream bank where my baby plays. walk one by one onto her heart. It flows into my baby's pond of dreams. quiver gently with her smiles. blooming on her mother's songs. Atayal is one of the aboriginal tribes in Taiwan. a national park located in Hualien, Chen Li's hometown. 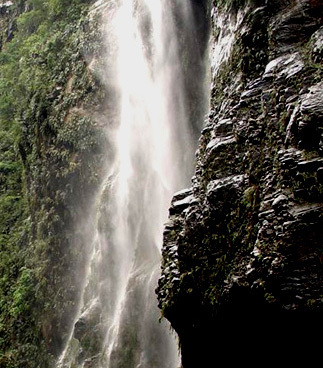 The Atayals are the original inhabitants of Taroko Gorge. Merry-go-round. A city park on Sunday afternoon. the world and childhood went round slowly. rode our respective toy horses parading in the land of the fairy tale. joined in the prancing parades in a daze. revolved with us as well. her childhood chasing my childhood. chased by my swift-moving childhood. ran up and down the steps with Mother and me. I was eating sushi, Mother was singing sweet songs of flowers. Father talked with Mother in Japanese interspersed with Taiwanese. A military truck went down the hill loaded with soldiers. walked from the Meilung Stream with newly-caught clams on heads. We went up to rest under an iron war-horse carved with 'Recover Our Territory'. Ma said the Martyrs' Shrine used to be a Japanese temple. I asked what was the difference between a martyrs' shrine and a temple. martyrs caught by the Japanese. I asked if Grandpa's third brother was a martyr, who was caught after the retrocession of Taiwan. Merry-go-round. A city park on an autumn afternoon. The history losing weight in the whirling circle. The gunshots from the martial prison behind the bamboo groves. Japanese concrete lanterns coming up all the way along the stone steps. sat on the whirling mechanical horses, listening to our respective nursery rhymes. "A white egret, driving a dustpan, to the stream bank..."
Sausage sellers, ice cream peddlers, hot dog and tempura peddlers. someone calling, "Papa, Papa, let's go home." An autumn afternoon. The shadow-lengthening Martyrs' Shrine. "Silver moonbeams, a learned scholar, riding a white horse, across the lily pond..."
"sushi": a Japanese dish consisting of small cakes of cold cooked rice flavored with vinegar, typically garnished with strips of raw or cooked fish, cooked egg, vegetables, etc. "tempura": a Japanese dish consisting of shrimp, fish, vegetables, etc. dipped in an egg batter and deep-fried. Taiwan, once ruled by the Japanese, is now governed by the Nationalist Party of China (Kuomintang). while the Taiwanese killed in "the Event of February 28" are regarded as rebels. The wheel of politics toys with the fate of the Taiwanese. Yet, when history loses "weight in the whirling circle," the merry-go-round with family love as its axis can still gallop and sing. will you lower your head wearily and reluctantly. waiting patiently for the plump fairy to smile at the little squirrel. the rice store, the florist, the bird shop across the street have turned off the lights and retired to bed. They are all resting— to store greater energy for tomorrow. the next-door plumber has got his tools ready for work. Asleep or awake, you too are a member of the world. shadows may show up sometimes. and there is no need to tear open violently the curtain of hope. there are many shades of blue). and all revolutionists may have been anti-revolutionists. you refused to taste the wild strawberries, which we had all tasted. But it's not the apple that is poisonous. What poisons us is the human heart, the witch's hands. every language is the best. Every day you hear your mama chatting in Hakka dialect with Granny. 'funny' characters. Aren't they beautiful? You may well stick to the good, but needn't be obstinate. observing the world aloofly, conducting yourself passionately. all its joy and sorrow, its hatred and love. let's work and rest with the world. Mother bade me to buy some green onions. "I want to buy some green onions!" She handed me a bunch of green onions smelling of mud. telling Mother in Hakka dialect that the green onions were brought home. and took it for granted that miso shiru was my mother tongue. not knowing that I was eating the bread with Portuguese pronunciation. and ate my lunch stealthily after every class. the teacher taught us to sing "Counter-attack, counter-attack, counter-attack the Chinese mainland,"
then do three flags have?" the green onion in my lunch box said one. I traveled around with the empty lunch box smelling of green onion. The noise in the market called my name zealously in the box. then I reached the Green-Onion Mountain Range. I said in Taiwanese Chinese, "I want to buy some green onions!" The vast Green-Onion Mountain Range gave no answer. There was no green onion in the Green-Onion Mountain Range. All of a sudden I am reminded of my youth. Mother is still at the door waiting for me to bring back green onions. for fifty-one years until the Kuomintang government took it over in 1945. Under the reign of so many different rulers, the culture of Taiwan has undergone the process of mixture and assimilation. pan in Taiwanese means "bread," yet it is actually a word borrowed from Portuguese. Scrambled eggs with dried radish is a typical Taiwanese dish flavored with green onion. The Bayenkala Mountains, in the eastern Tibetan Highlands, are where China's two longest rivers, the Yangtze River and the Yellow River, originate. The Green-Onion Mountain Range (the Pamirs are part of it) is a mountain range in southwestern Sinkiang, known as the ridge of Asia. The journey of buying green onions can be seen as a process of returning to the native land. "There was no green onion in the Green-Onion Mountain Range" because the poet has come to realize that his roots are in Taiwan. leaning on walking sticks, some coughing lightly. Accidentally bumping against a wall with a relief of water buffalo on it, they stopped. "Water buffalo?" said one of them. "Things left behind since the Japanese Occupation times. Ha, those ignorant Taiwanese buffalo, fatalistic and naive..."
Taiwan sugar, which they had had so much as to suffer from diabetes. why should they bother to tell whether bananas or barley is grown in the soil under the buffalo's feet? Buffalo are buffalo even if they are led to Peking. I am thinking in the long night about the relief in the dark corner. in a brief yet comfortable rest. Dream-like green grass, water-like fine wind. They turn to accept the earth's caress after the exhausting plowing. may be our unborn offspring. on the mid-summer evening of the island. reaping the vast splendor of sunset, and the pure moon. reach the newly-completed city art museum. I stood before the shining bronze water buffalo. I saw more clearly the secret of the island. but the dreams of the island, the heart of the history. How far-away and vague those times were! Huang Tu-shui, how transient yet gigantic a life! I imagine those pioneers plowing and carrying on their backs this land like water buffalo. blossoming and yielding fruit in desolation and taboos. Buffalo are buffalo even if they have never been to Peking. The Portrait of Water Buffalo was the famous work of Huang Tu-shui (1895-1930), a gifted, pioneering Taiwanese sculptor in the early 20th century. This work of sculpture is now displayed on the wall in front of the stone staircase between the second and the third floor behind the Kuanfu Hall in Taipei. Recently the Council for Cultural Planning and Development appropriated funds to make two bronze copies of it and presented them to Taipei City Art Museum and Taichung Provincial Art Museum. Wei Qing-de, a poet, once wrote about the sculpture: "This masterpiece, eighteen meters in length and nine meters in height, represents in relief a mid-summer banana orchard: the gentle breeze blows, green leaves flutter, five water buffalo fondle each other on the green pasture, two naked shepherd boys look innocent and carefree— one sitting on the back of a buffalo, with bamboo cane in hand, ...the other standing by a buffalo, passing his hand over it. The scene poetically forms a picture of serene and peaceful landscape of the south." 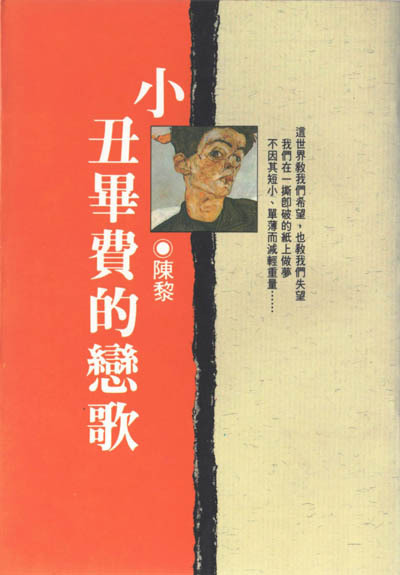 The poem is not only a tribute to Huang Tu-shui's artistic accomplishments, but an attempt to recapture through his work the suffering and tough images of the Taiwanese people and to go deep into the profound secrets and dreams of this island. To the Taiwanese who have long been governed and exploited by foreign regimes, the serene and peaceful scene in Huang Tu-shui's relief The Portrait of Water Buffalo is symbolic of ideal life— self-contented and carefree— in which one reaps the fruit of hard work and in which social justice is not a faraway dream. "Buffalo are buffalo even if they are led to Peking" is a Taiwanese proverb, whose equivalent in English may be "The leopard cannot change its spots." Chen Li subtly transforms it into: "Buffalo are buffalo even if they have never been to Peking," which may be seen as an assertion of the independence of the Taiwanese people from the Chinese mainland. just like us, once carried away by love in our maidenhood. The distant mountain gets more and more distant. it rose like a morning song on the heart's flagpole. the screen of dreams, the piggy bank of tears. The distant mountain grows up with you, and watches you grow old. the distant mountain is talking to the distant mountain. It tells you the silence that is never spoken. We ride to work on gray shadows in the morning white as soybean milk. We ride from work on gray shadows in the evening dense as sauce. We're the headless riders who have tossed racked brains to the setting sun. We're the Don Quixotes who have hidden the glimmering starlit dream in the dark night. hurrah with the puppets whose single movement may result in thousands of others. mark time because of helpless circuit. Poppies. Bankbooks. Lighters. Lunch boxes. We duplicate today's garbage and smiles from yesterday's. With wide open eyes we watch our bodies and swords getting old, yet the hearts remaining young. laden with such heavy love and nihilism. unwilling to give in to sleep. covering human misery and suffering. when the lonely heart is still seeking green grass in the wilderness. boiling tears freeze at the bottom of the lake. The world teaches us to hope, and disappoints us too. covered with frost and dust, sighs and shadows. each time we feel sad. I am listening to Winterreise on a spring night. traveling along with winter and spring. In January 1988, I heard Fischer-Dieskau, the famous German baritone, singing Schubert's song cycle, Die Winterreise (Winter Journey) on satellite TV. Ever since I was a teenager, I have listened to Fischer-Dieskau's recordings of numerous German songs, and I have never got tired of hearing Winterreise. On this occasion, on a quiet midnight, I saw the performance of so many familiar songs, such as "Der Linderbaum" ("The Linden Tree") and "Fruhlingstraum" ("Dream of Spring"), coming out of the throat of the 63-year-old singer, along with the voice of time. I was moved to tears. How much love for art lies in Fischer-Dieskau's aging voice which reminds one of a life full of vicissitudes! In a drizzly chilly spring I ponder over the subtle meaning of your silence. Your vastness is a kind of close intimacy. The towering mountain walls lie flat at the bottom of my heart like a grain of sand. Clouds and fog push gently by. Lushness revolves and pauses in moisture. on the steep and slippery mountaintop and cliff. galloping on the sunny morning. in the dream from which I awoke with a start last night. in the endless reflection of the sky and earth. walking on your mountain path. in your arms for the past thousands of years. stumbling, hurt and rising in your arms. proceeding and lost in the luxuriant forest scattered with rotten leaves. flowing into the distant ocean with mountain streams. vanishing slowly into more giant dreams. You let them search for massive rocks to meditate on. You let them lean on the toll of bells to go into the evening. They grow in the torrential rain. watching time flowing by like a river day and night. Time flows by like a river day and night. You allowed the red-haired Spaniards to gather gold dust in your gorge. You allowed the red-haired Dutchmen to gather gold dust in your gorge. You allowed the Chinese driven over the sea by the Manchus to gather gold dust in your gorge. You allowed the Japanese who drove the Manchus away to gather gold dust in your gorge. To build fortresses, set up cannons, and kill in your gorge. To build fortresses, set up cannons, and kill on your mountainside. To build fortresses, set up cannons, and kill on your streamhead. from the foot of the mountain to the plain. those Chinese who were driven over the sea by the Chinese. they dug new dreams among your tangled bones. Some were missing in the tunnels they themselves had dug. Some sank into the eternal abyss with falling rocks. standing in the wind like a persevering tree. and nailed new doorplates by the newly-built road. to graft, mix blood, propagate. they planted themselves into your body. They hung new names of places over the newly-built roads. came to a place named Tianxiang to appreciate fallen plum blossoms. reciting aloud The Song of Righteousness. nor the vague, distant Chinese landscape. painted nostalgia extravagantly with half-abstract splashes of ink on your concrete face. They painted the picture of the Yangtze River on your mountain wall. Yet you are not landscape, not the mountains and rivers in the Chinese landscape painting. nor Fan Kuan's Traveling among Rivers and Mountains. (They are just like the Portuguese who cried out "Formosa"
Yet you are not Formosa, though you are beautiful. You are not the landscape to be carried, hung, or displayed. who vibrate and breathe with the pulse of your veins. I'm looking for the foggy dawn. I'm looking for the first black long-tailed pheasant that flew over the gorge. I'm looking for the indigo and the euphorbia that peeped at each other through crevices. I'm looking for the red knees of the setting sun that chased the flying squirrels. I'm looking for the calendars of trees that changed their colors with the changes in temperatures. I'm looking for the tribe of wind. I'm looking for the rites of fire. I'm looking for the footsteps of mountain boars that echoed with the sound of bows. I'm looking for the bamboo houses of dreams that slept on the pillows of floods. I'm looking for the crying stars in mourning. I'm looking for the mountain moon which, like a hook, hung up the bloody night and the gorge. I'm looking for the light that dug through the wall. I'm looking for the skull that hit the bow of a ship. I'm looking for the heart that was buried in strange soil. I'm looking for a suspension bridge, a song without a shoelace maybe. in a drizzly chilly spring. When autumn came, they traveled together on the mountain path in the gorge. and encountered again the Japanese army trench lying in ambush. the latest party of archeologists. and arrive at the suspension bridge where stand nine plum trees. happily distributes mail into different mailboxes. who will come jolting all the way down in a cart. You jolt along into the evening village. A healthy village boy runs excitedly to greet you. "Papa has made good tea for you!" so much like the poetry of Tang Dynasty his father read in his youth. growing their fruit trees, raising their children. the humble residence on earth. the Buddhist chanting of the mountaintop temple. impartially looking on the creation of the heaven and the earth, the death of trees and the birth of insects. The landscape speaks aloud, the skies are boundless. I seem to hear the calling of life to life. The above are the ancient names of the places in Taroko Gorge. In the Atayal language they refer to different meanings. For example, Tupido, now called Tianxiang, originally means "palm tree;" Losao originally means "swamp;"
Tabokyan originally means "sowing;" Putsingan originally means "a must for passing;" Bolowan originally means "echo." Tianxiang: a place in Taroko Gorge, named after Wen Tian-xiang (1236-1282), a heroic character in the last reign of Sung Dynasty, who fought against the invaders only to be captured. Refusing to surrender, he was executed after three years' imprisonment. Before the execution, he wrote The Song of Righteousness to express his loyalty and patriotism for the native land. Huaqing Pool and Mawei Slope: names of places in Tang Dynasty. Yang Yu-huan (719-756), Tang Xuan-zong's favorite concubine, bathed in the former, and was forced to hang herself on the latter. Da-qian (Zhang Da-qian, 1899-1983): a master of the traditional Chinese water-and-ink painting. Living in Taiwan in the last years of his life, he painted mostly the scenery of Mainland China. Li Tang and Fan Kuan: two major Chinese painters of Sung Dynasty, famous for their landscape paintings. Formosa (meaning "beautiful"): another name for Taiwan given by the Portuguese who reached it in 1590. The indigo (Indigofera ramulosissims) and the euphorbia (Euphor-bia tarokoensis): two rare species of plants found in Taroko Gorge. In Part Four, Chen Li lists twenty images of search, which is an attempt to lead readers into the heart of Taroko Gorge to look for its origins, to take a glimpse at "the secret of the humble residence on earth." He also lists forty-eight ancient names of spots in Taroko Gorge. To the outsiders, they may be meaningless sounds, but to the Atayals, they are significant, vividly revealing the local features. The reason why Chen Li makes such a long list is obvious: he is eagerly inviting readers to go on a journey of retrospection to the lost culture of Taiwan. listening to the coal strata talking with water. playing back our breath in the minutest detail. of the morning stars I saw when I came. The Keelung River is snaky and winding. The maple trees at Sijiaoting are frost-cold. have all slipped along cordage of time into cobwebs of sleep. the ancient water running more swiftly with every function of pumps. innumerable bats flutter across the only sky. Are you asking me about that sudden deafening explosion? the earth wept for her long-departed babies. before we could possibly recognize them. I saw them trampling down Wan-lai's shoulders. I saw them trampling down A-xin's forehead. and we had failed to surmise the sorrow in it. crippled by the fallen rocks. when, hoeing lumps of coal, you let your sweat drip into the lunch boxes? We have been lying on death's breast so solidly. Did you see our newly-completed town of miners? The cinema is next to the beauty parlor. The clinic, the opera house, the supermarket— all half a minute's walk. Li Chun-xiong, who lived in Villiage Sandiao, has now moved to Gold Sesame D Building. Zheng Chun-fa, who lived in Village Shangtian, has now moved into the 21st floor of Apollo Building. Shenaokeng Road is to be made into a big park. Fengzaita Road has long become our favorite golf course. How about coming over to see my newly-decorated house? Next to the swimming pool is the garage. The living room is in the front. The kitchen is at the back. On the second and third floors are the bedrooms of my six daughters. You must be wondering where we've hidden our bicycles. We have had our driver's licenses for months. Next to the dining room is our bathroom. Next to the bathroom is our alcohol cupboard. Next to the alcohol cupboard is our television set. Behind the television set is my son's study. the Wang Mu-qi who left home at five in the morning! No more dilapidated and low-hanging eaves. No more bedclothes too short to keep warm. No more bowls waiting to be fed. the imperishable coal dirt of sorrow. at six p.m. (they never saw their sober fathers). and beat up Mother without saying a word. Do you still send painful disease to the distant hospital? Do you still send tormented souls to the distant badminton court? to be mined by sunshine. Uproarious motors, sand bags, pumps. Flags are swaying involuntarily in the dusky air. the first to run out of the third bypass on the right to inform us. who had four gold teeth in the upper jaw and whose second toe of the right foot was missing. Get away from the wound of pain. Get away from the pit of despair. Get away from anxiety, sorrow, and waiting. Get away from paper money for the dead, ashes, and howling. Let frightened children return to their classrooms. Let fainting old grandmothers return to their rocking chairs. because the proud crowns wouldn't shatter their hereditary jewelry. because the well-fed cows wouldn't take off their clothes of cream and balsam. Writers who are writing rapidly on manuscript paper. Congressmen who are urging emphatically before cameras. because of our fathers and brothers who are of equally humble birth. Hollow rock strata, black temples. Huge ink ponds, black elegies. Sobbing moon, black bronze mirrors. Coarse heavy linen, black blinds. Black windows, eyes of water. Black grains, spades of water. Black rings, chains of water. Black ankles, reins of water. Black names, dictionaries of water. Black pulses, pendulums of water. Black earthen jars, melancholy of water. Black bedclothes, fury of water. The snakily winding Keelung River is vast and imposing. "Chen-man, my dear wife: No news after the departure. Have you recovered from the cold? who have just fallen asleep? It seems to have been a love story ten thousand years ago. come running to play at our muddy mining neighborhood. Then I saw you, shy and tall. It seems to have been a pledge one hundred thousand or one million years ago. nursing my children and sharing my surname. with coins. The night was long. The sleep got all the narrower for crowdedness. and you are so weak. Is A-xue still feeling pain in her shoulders? happy to know he is stout and healthy. The firm will surely offer him a job. In the pocket of my raincoat there is a pack of lotus seeds I've bought. Do remember to take it out. I have left four dry batteries with Uncle Chun-wu. Lin A-chuan at Ruiju Road owes me one hundred and five dollars. You may as well get it back from him in your free time. You can buy a new pair of sneakers for Xiao-hui to wear at the athletic meet. You should eat more and do less laundry work. all the doors and windows of the house..."
On March 21, 1980, a great calamity happened to Yongan ("Eternal Peace") coal mine in Ruefang: enormous amounts of water welled out and developed into violent and rapid currents. There were many miners working in the mine. Ten, including Wang Shu-xian and Wu Huo-tu, had a narrow escape; the other thirty-four, including Wang Mu-qi, Yu Tian-deng, Lu A-xin, Du Wan-lai, Yu Qin-xiang, Shiu Zhao-gi, Zeng Chun-fa, Li Chun-xiong, and Xu Shuei-yuan, unfortunately died at the bottom of the mine. Because of the constantly falling rocks and the difficulty in pumping out water, it was not until May 10 that they found the first dead body— that of Yu Tian-deng, who was the first to run out of the third bypass on the right, yet turned back to the third bypass on the left to inform his fellow miners and therefore failed to escape in time. The narrator of this poem is Wang Mu-qi, fifty-one years of age, a digging worker of Yongan coal mine. It was reported in the newspaper that his eldest son, Wang Bi-lu, who was serving in the army at Mazu, sent an urgent telegram home to ask if his father was sound and safe, because according to the news report on TV, a miner by the name of "Wang Mu-tu" (a miswritten form of Wang Mu-qi) was on the list of the victims. Besides his wife Wang Chen-man, Wang Mu-qi left behind him six daughters and a son, who were all under age and the youngest of whom was still studying in primary school.